Anyone that works in marketing or advertising knows that there’s always something happening and there’s never enough time. You have multiple projects on the go and a team to manage, often including freelancers working remotely around the country. You are coordinating in-house resources with designers, copywriters, digital media specialists, illustrators, and animators. It can be difficult to keep track of everything and everyone and deliver projects on time. One person who knows all of this is Alison Perkins, associate director and head of studio at Pegasus. Having worked in production and advertising for almost 30 years, her biggest challenge has always been managing the workflow of people in different locations. 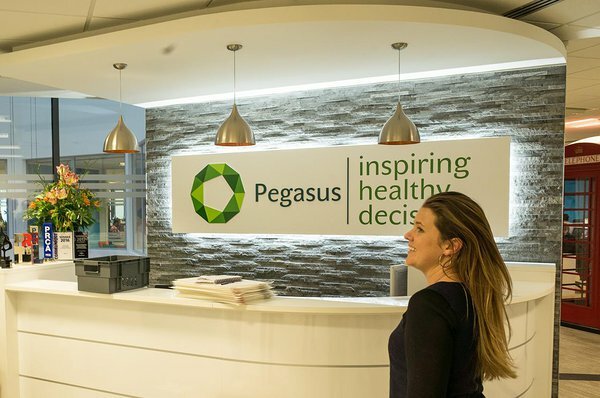 Pegasus is an integrated communications consultancy with a focus on helping organizations and brands have healthy conversations. It’s Alison’s responsibility to lead a department called The Lab, which is a creative resource that drives campaign creation and delivery. Its services span design, animation, web and app development, film and advertising work. Considering The Lab accounts for around 20% of the agency’s revenue, Alison has quite a burden to bear. You would never guess this if you met her, as she has a care-free energy and a spark to her that lights up any room she steps into. Does she have some kind of a secret weapon? Alison says that much of her confidence comes from using Ganttic for effective and clear resource planning. “Excel spreadsheets are almost never enough,” she says, “And yet, it’s still what many creative agencies use to manage their daily workflow.” While Excel is undoubtedly the most flexible resource planning tool out there, Ganttic is better at acknowledging that resource planning isn’t a do it once and it’s done kind of a job. It’s a continuous process, and that’s where spreadsheets lack dynamism and functionality. With Excel, you can’t just drag and drop tasks to reallocate resources. You need to delete and color and merge and… waste your precious time. 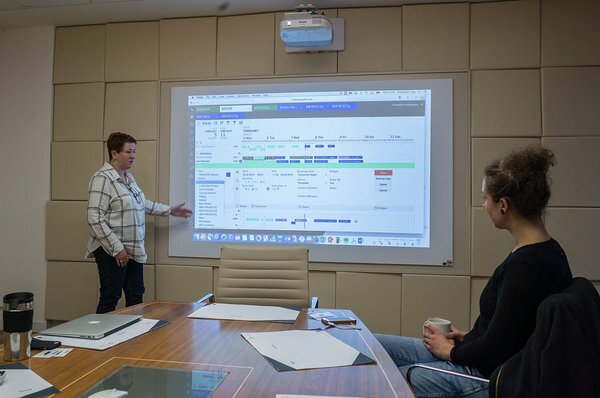 One of the first things that Alison did after she joined the team at Pegasus in 2015 was to set up a new production and workflow process. Doing so, she threw spreadsheets out of the figurative window and in came her favorite resource planning software. Although it was quite a change for the team at Pegasus, they have adapted nicely. In the beginning, only four people handled scheduling, whereas now about 25 people can book resources. Katherine Thay, the studio manager at Pegasus, makes sure that everything runs smoothly. She says that the multi-user interface is a real time-saver, while her favorite feature is the ‘history’ button. With one click, she knows who made changes to the planner and when. To schedule tasks with ease, Alison and Kat have grouped their resources by specialty: designers, art workers, copywriters etc. They have added both the freelancers and the core team to create an overview of everyone’s workload. That way, they can effortlessly estimate when they will have free resources to take on new projects and whether they need to hire more freelancers. Another benefit of grouping resources that way is that they can easily allocate resources within the group to even out the workload. To have a visual overview of everything that’s going on, Alison and Kat have added different statuses to their tasks, each of them is color coded. Blue for tasks that are awaiting brief, violet for tasks in progress, green for those that are complete etc. Kat says that colored statuses make it quick and easy to see how everything is progressing. Their workflow with Ganttic starts after they have assessed the projects they need to complete. They assign a job number to the project, which is going to be the task title in Ganttic. After adding the tasks to Ganttic, they estimate the number of resources it’s going to take. Kat says that since they also track skill sets with Ganttic, they know which people can do which assignments and based on that the tasks are added to their timelines. Everyone who’s working at The Lab always has Ganttic open on one of their screens. The team knows exactly what their next tasks will be and any changes are instantly displayed through real-time updates. Although that kind of transparency sounds good, according to Kat, it makes it difficult for her to make any fundamental changes to how they are doing their planning. She says that if she wants to avoid any panic, the only time she can make bigger changes is around Christmas time. Last year, she took some valuable family time to do just that during the holidays. She wanted to make some rearrangements, but before she was finished something happened. There were clicks. And all of the sudden, everything just went blank. Since it was Christmas time, she didn’t hold out much hope that her SOS email would get an answer from our support team. Kat was ready for the worst case scenario that she had somehow located a ‘delete all’ button (not that it exists). Our support team rushed in to save the day. Within an hour, it was clear what had happened and Ganttic was up and running again. Alison says that, while she has come across many project management tools throughout her career, Ganttic is the one that she recommends to any creative studios that are looking for a resource planning software, or are still using spreadsheets. She says, “Ganttic is clever straight away, easy to use and flexible – you can use it how you want. 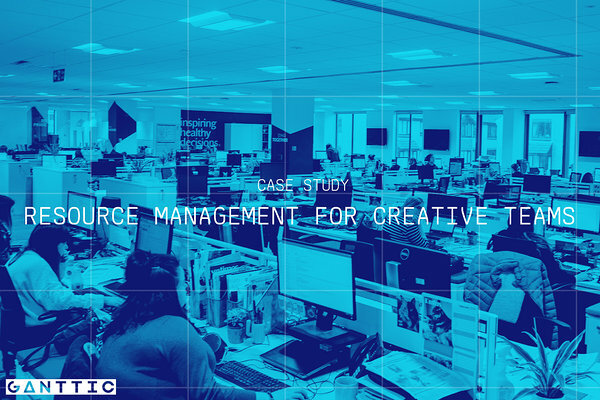 It doesn’t have any unnecessary project management functionalities, which makes it perfect for many creative teams and consultancies”. Stuart Hehir, Pegasus’ creative director says that Alison’s arrival clearly reflects the scale of their ambition when it comes to delivering integrated campaigns. 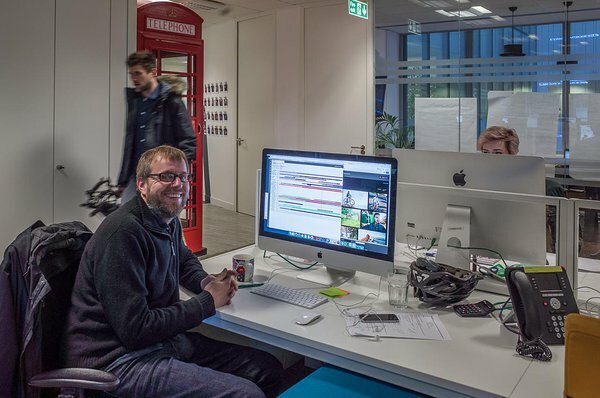 The Lab’s rapid growth is a sure sign of how they have shifted to become the strategic, creative and now multi-channel delivery partner for many of their clients - and they see no sign of this slowing down. Enter the spreadsheet-free zone and save time with an easy-to-use resource planning software.